Whether it’s your toilet, kitchen, laundry or bathroom, a blocked drain can be a nightmare, so we understand the urgency for these issues to be fixed quickly. 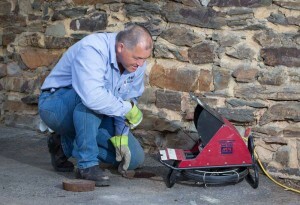 The team of Adelaide plumbers at Mott Plumbing are experts on blocked drains. It is our expertise, reliability, and quality workmanship that guarantees the quickest possible solution to your blocked drain issues. If you’ve had enough of plumbers that claim solutions they cannot provide, or keep you waiting long past their promised arrival time, contact the true professional plumbers at Mott Plumbing and get it done right from the start. Our fully qualified team of plumbers know all about blocked drains, covering indoor drainage plus external sewer and storm-water drains. We are confident that we can provide a fast and effective solution for all of your blocked drainage problems. Mott Plumbing offer power drain cleaning as a quick, effective form of unblocking drains. Power drain cleaning machines are most commonly used for your standard toilet, sewer and storm-water drain blockages. The advantage of using power drain cleaners is that all our vans carry these units and this equipment can generally deal with all but the most stubborn of blockages. We can deploy Hydro Jet cleaners when required, which are more aggressive and have a longer reach. Our experienced plumbers will identify when this equipment is required. The beauty of using Hydro Jets for drain cleaning is that they are able to reach blockages that the standard power drain cleaner can’t get to. Using high pressure water, our Hydro Jetting Equipment is able to cut through stubborn blockages like heavy tree root intrusion and grease build ups, providing a simple and effective solution to some of the tougher blocked drain issues. More than just unblocking, Hydro Jets also give the pipes an intensive clean and scrub. 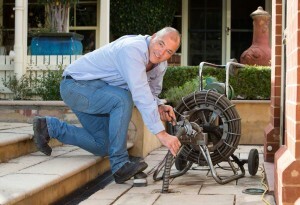 Hydro Jets are generally the best form of drain cleaning, however this much power and the higher operating costs are not typically required for the majority of standard blocked drain issues in Adelaide. Hydro jet cleaning is usually reserved for stubborn blockages where standard power drain cleaning equipment hasn’t been able to clear the blockage. Usually this includes very heavy root intrusion, solid grease chokes or partially collapsed drains. Using Hydro Jets can save the need for excavation on the more serious drain blockages. This is a fantastic development in the drain repair and leak detection process; Mott Plumbing is now able to provide a full scale drain survey to Adelaide homes and businesses using our sophisticated CCTV camera equipment. CCTV Video drain surveys are a very effective means to allow our plumbers to accurately assess the condition and location of the faults within your underground drainage systems. This technological advance means we can detect problems in out-of-reach places in the least obtrusive, most effective way possible. A CCTV video drain survey is the ideal way to diagnose a problem, locate it accurately, assess, and present our clients with the best range of repair options. Our CCTV drain equipment is also used to check the state of your pipes, helping us to offer approaches to prevent the problem of future issues becoming excessively expensive. For all your blocked drain issues, the Adelaide plumbers at Mott Plumbing have an effective and efficient solution ready for you! Get in contact with our team today!